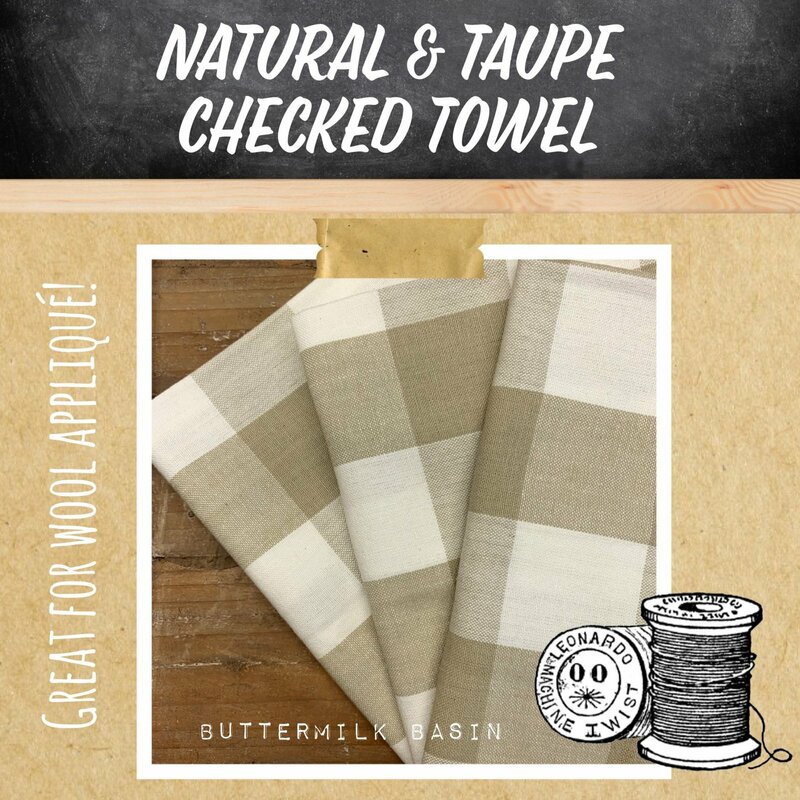 This aged linen look towel will look great in your kitchen all year, or would look great with some wool applique for a table runner! 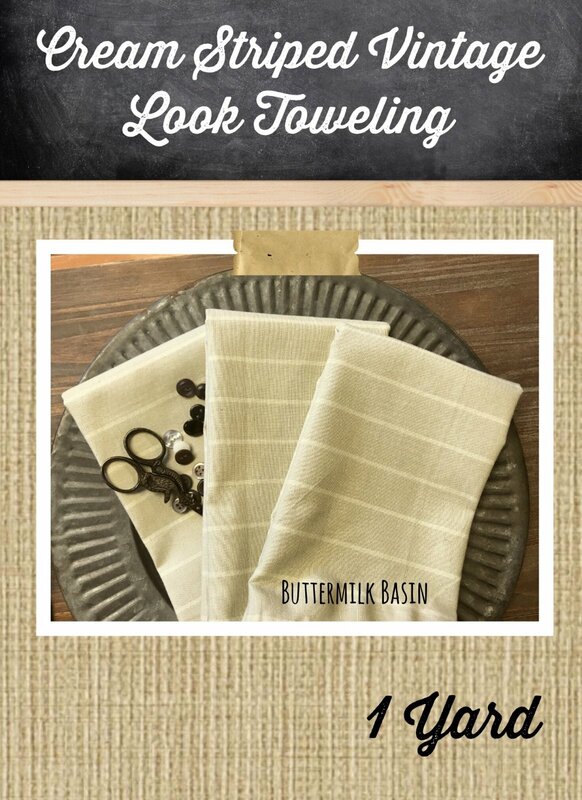 The towel is 18" x 28". 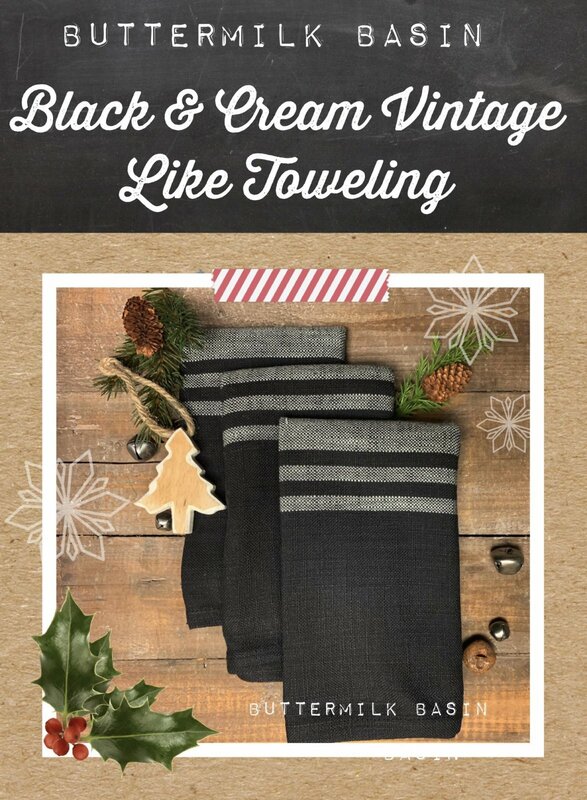 This toweling is gorgeous in soft black and cream, perfect for the holidays, or all year for the popular farmhouse look! It is 1 yard of toweling, that you can hem for use as a runner, or do some wool applique or embroidery on it! 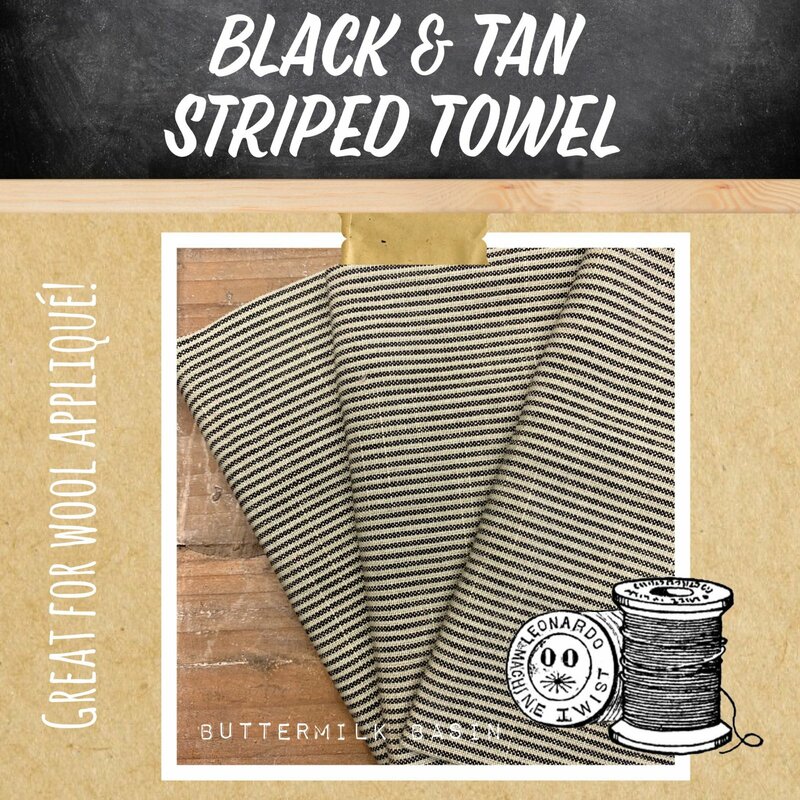 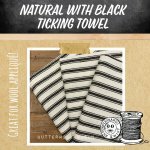 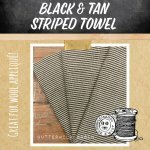 This black & tan striped towel will look great in your kitchen, or make a pillow or table runner with wool applique on it! 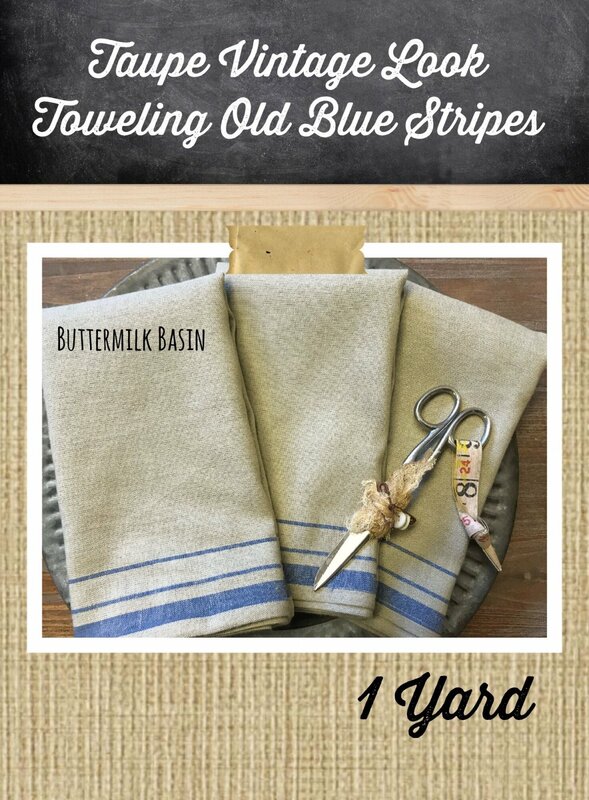 The towel is 17.5" x 27". 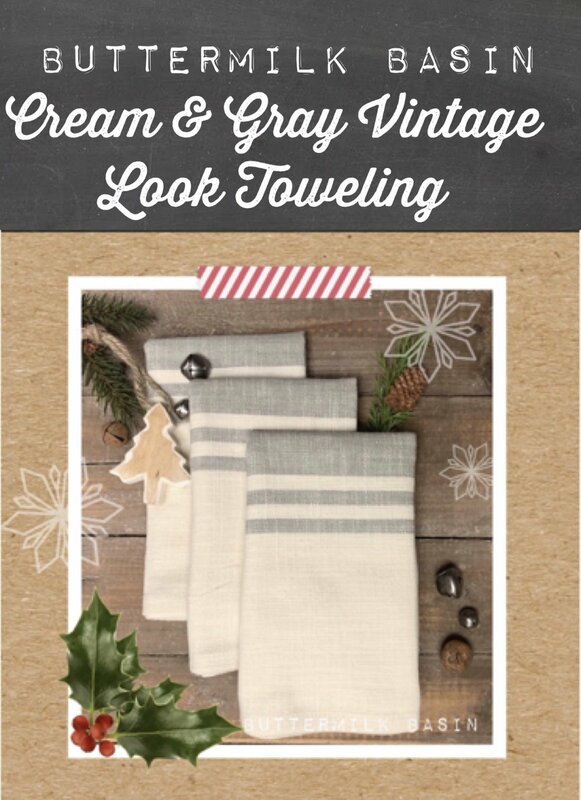 This toweling is gorgeous in soft cream and gray, perfect for the holidays, or all year for the popular farmhouse look! 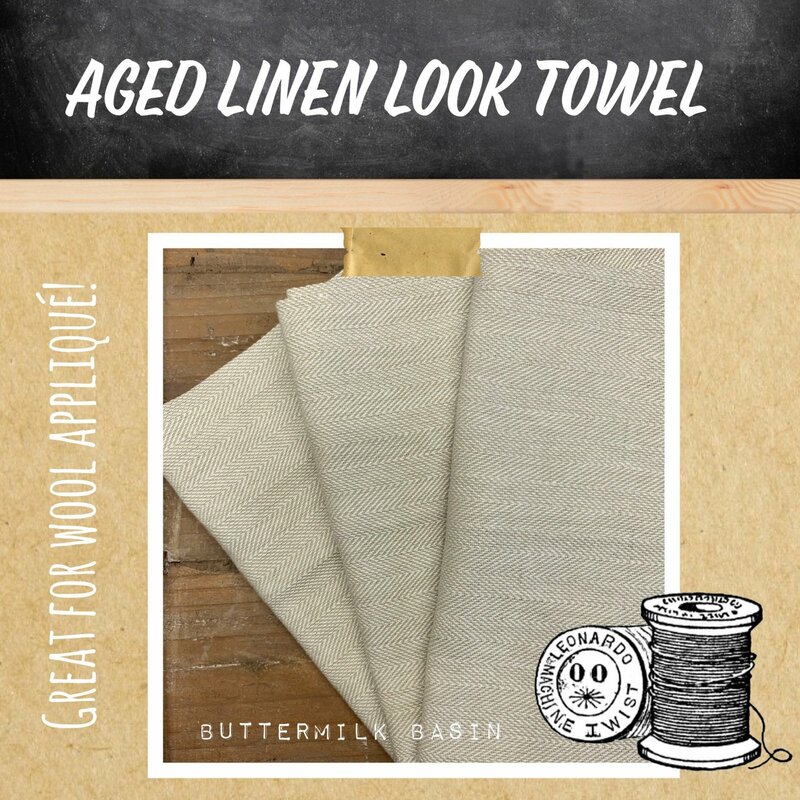 It is 1 yard of toweling, that you can hem for use as a runner, or do some wool applique or embroidery on it! 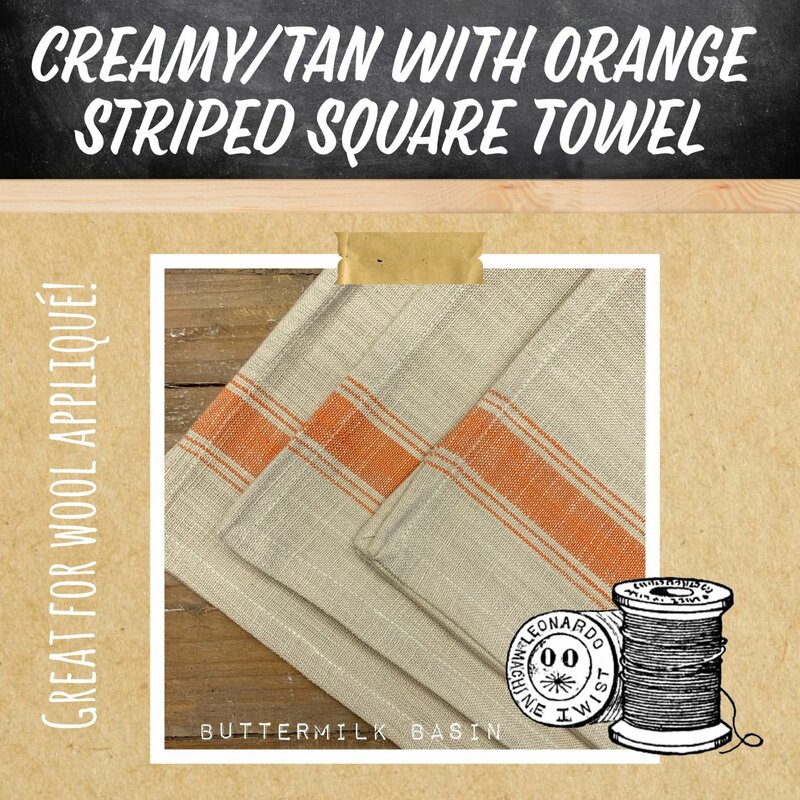 This towel is perfect as a table topper or to use in your kitchen, or do some fun wool applique on it! 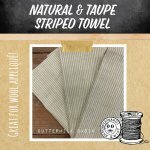 The towel is 19" x 19" square. 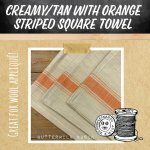 This towel is beautiful in soft orange and tans, for your kitchen, or applique on it to use as a runner! 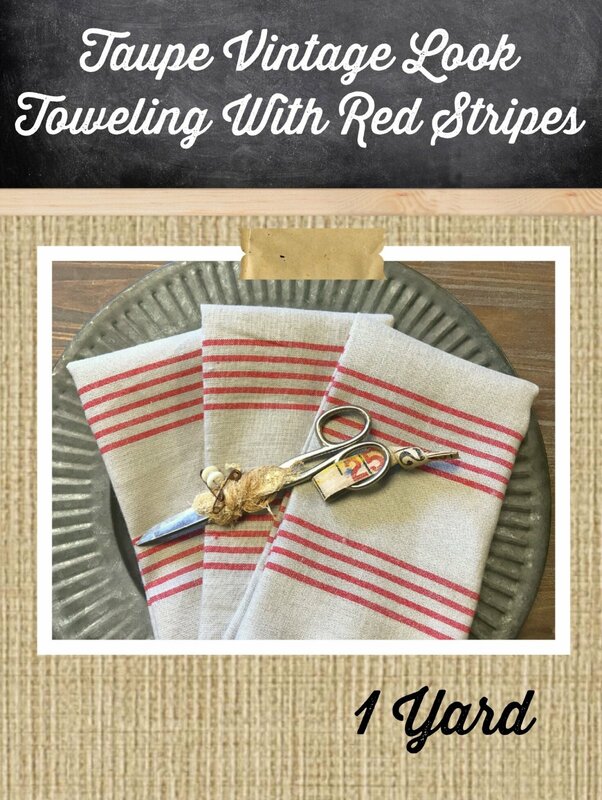 The towel is 18" x 27". 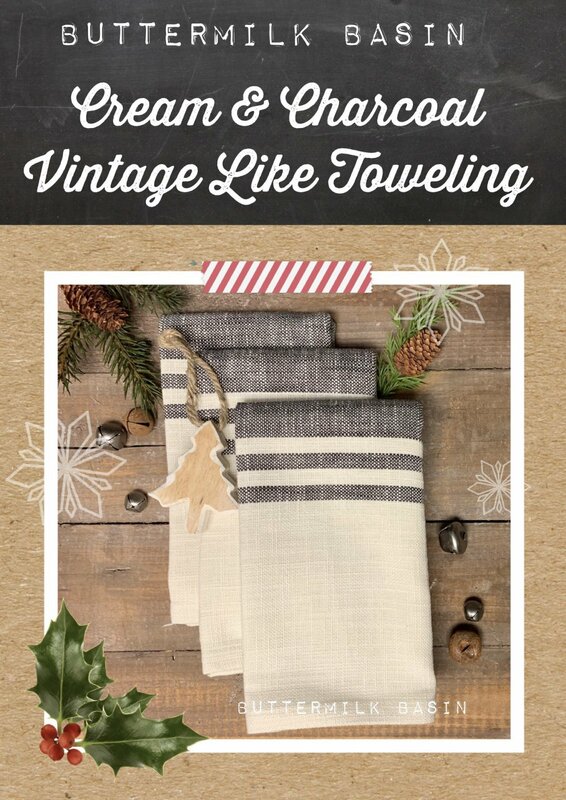 This toweling is gorgeous in soft cream and charcoal, perfect for the holidays, or all year for the popular farmhouse look! 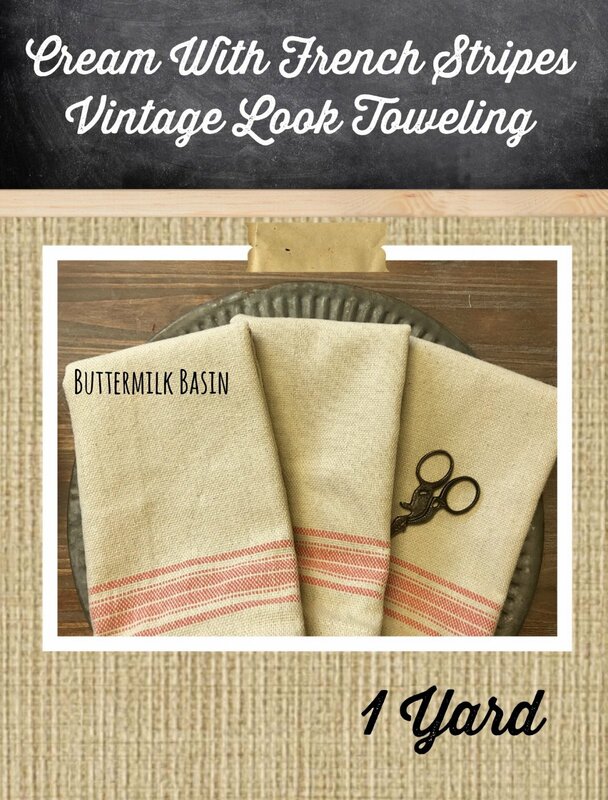 It is 1 yard of toweling, that you can hem for use as a runner, or do some wool applique or embroidery on it! 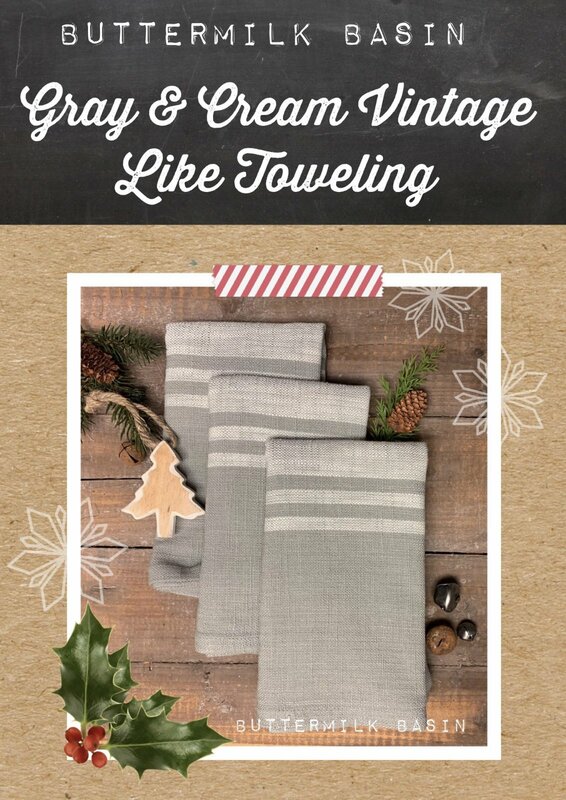 This toweling is gorgeous in soft gray and cream, perfect for the holidays, or all year for the popular farmhouse look! 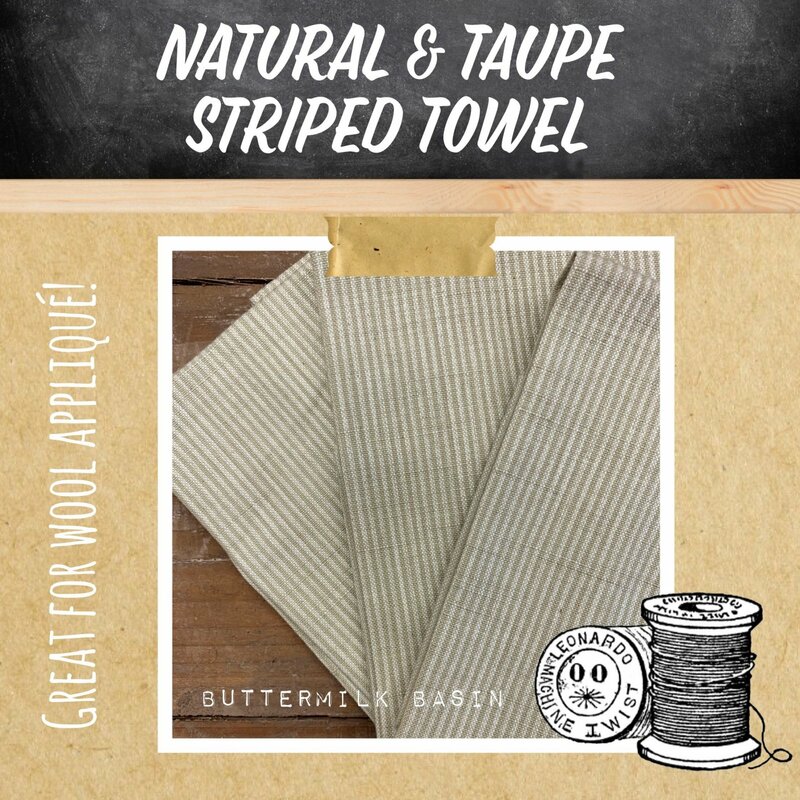 It is 1 yard of toweling, that you can hem for use as a runner, or do some wool applique or embroidery on it! 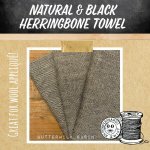 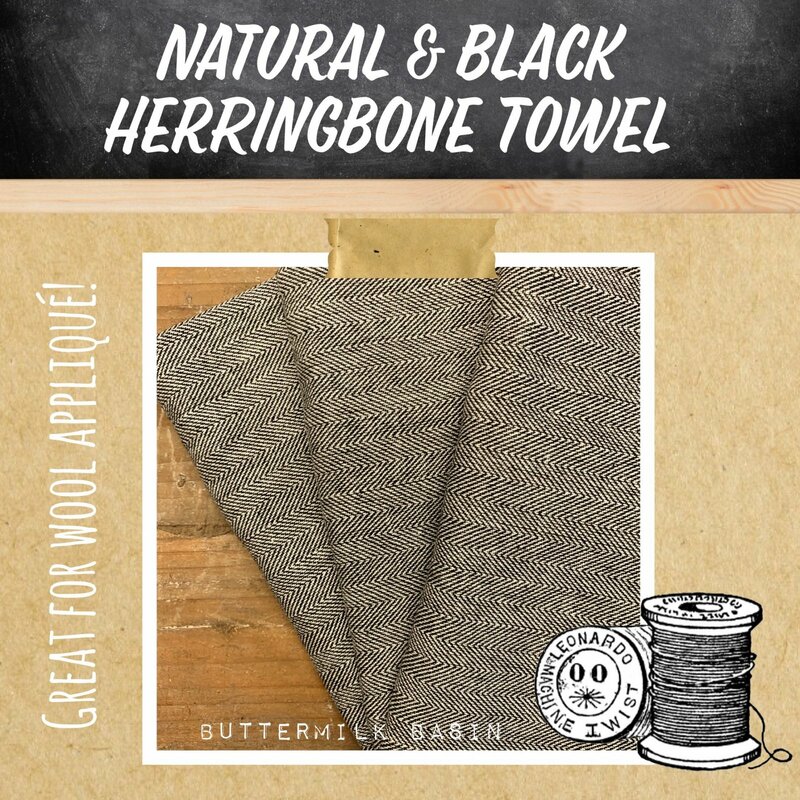 This natural & black herringbone towel will look great in your kitchen all year, or would look great with some wool applique for a table runner! 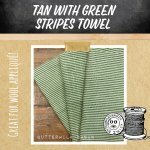 The towel is 19" 28". 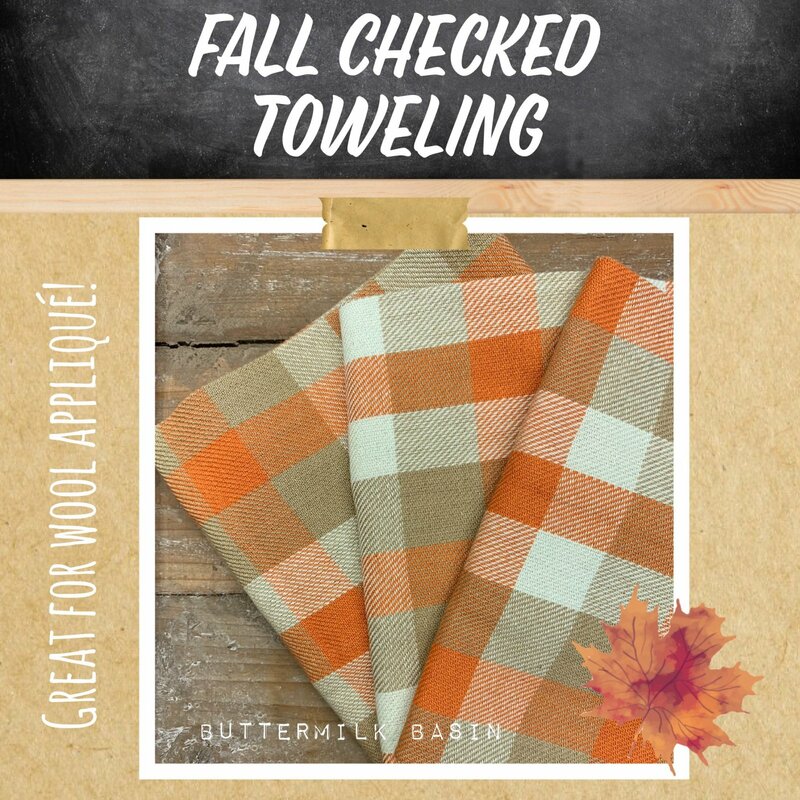 This towel in a great check will look great in your kitchen, or make a pillow with wool applique on it! 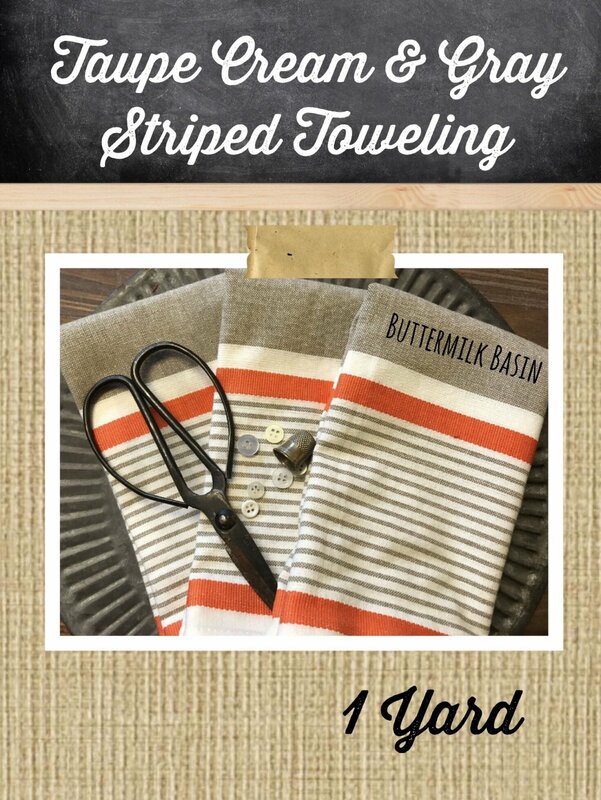 The towel is 17.5" x 27". 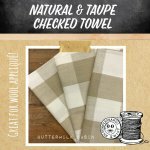 This natural & taupe striped towel will look great in your kitchen all year, or would look great with some wool applique for a table runner! 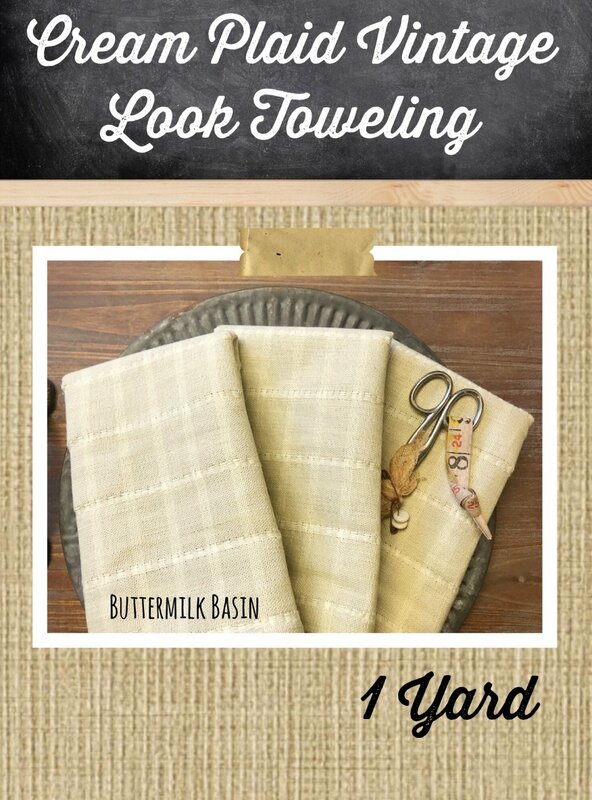 The towel is 17.5" x 27". 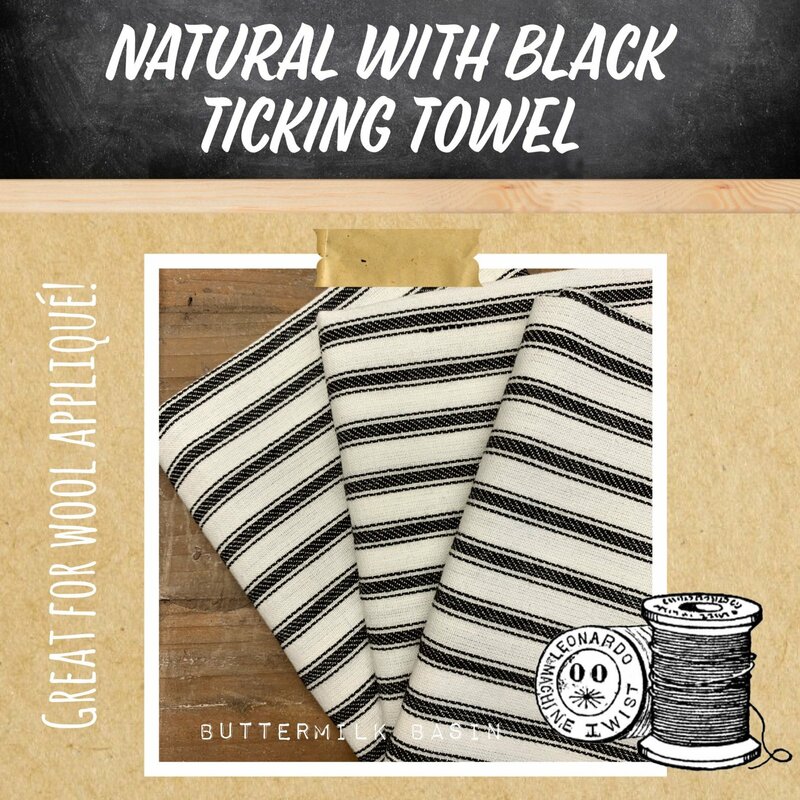 This black ticking towel will look great in your kitchen, or make a pillow or table runner with wool applique on it! 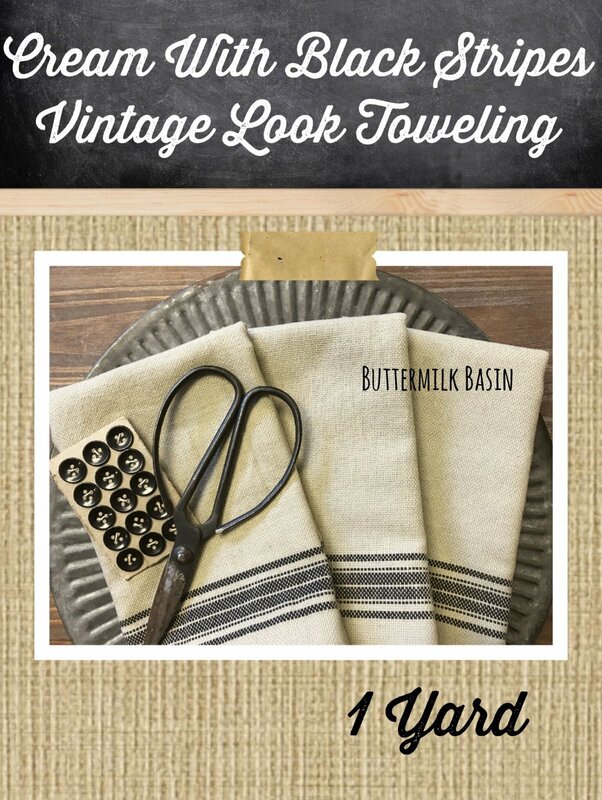 The towel is 19" x 27". 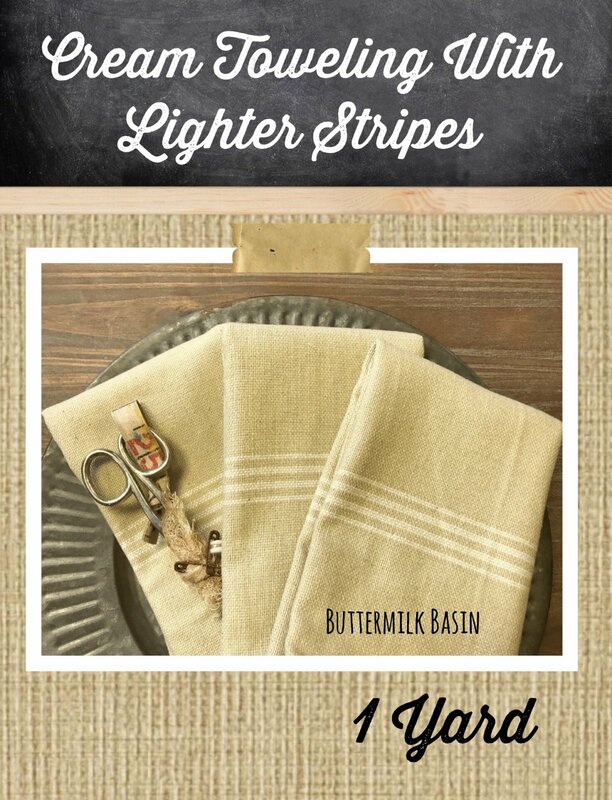 This brick & tan striped towel will look great in your kitchen all year, or would look great with some wool applique for a table runner or pillow! 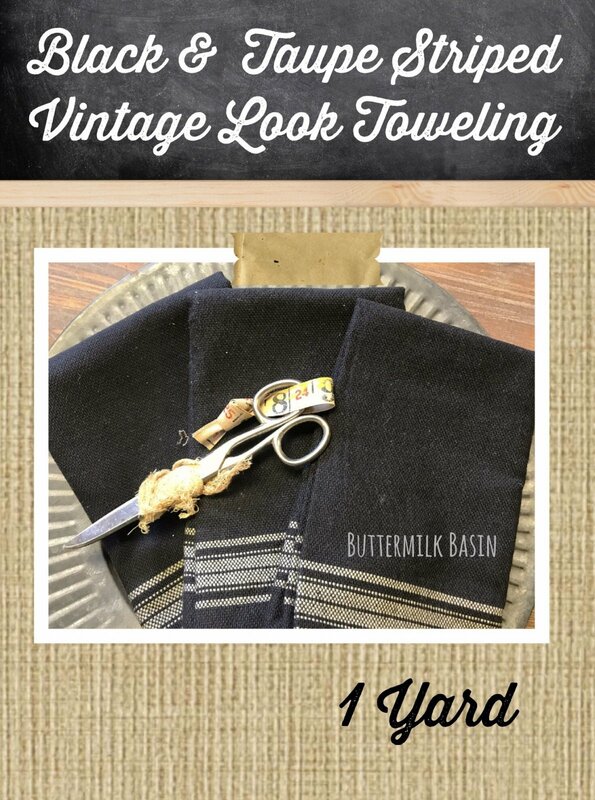 The towel is 17.5" x 27". 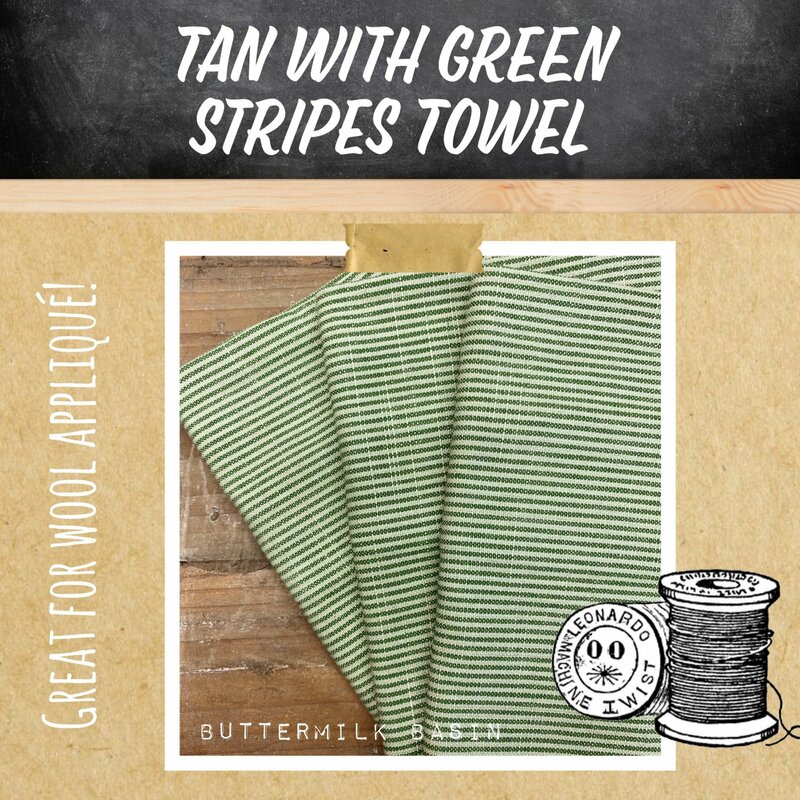 This green & tan striped towel will look great in your kitchen all year, or would look great at Christmas with some wool applique for a table runner! 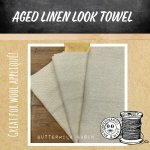 The towel is 17.5" x 27". 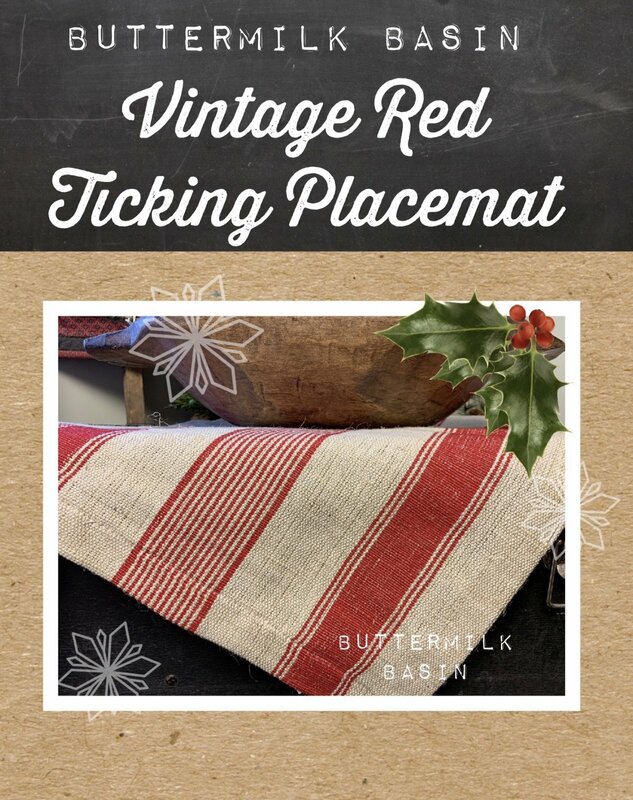 This vintage red ticking placemat is gorgeous! 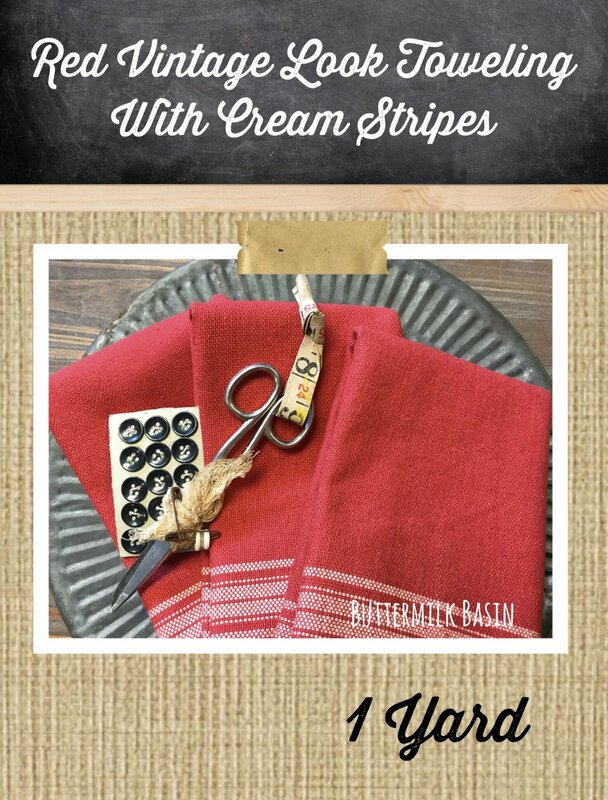 It is 13" x 19" and can be used as a placemat, a candle mat, or do some wool applique on it! 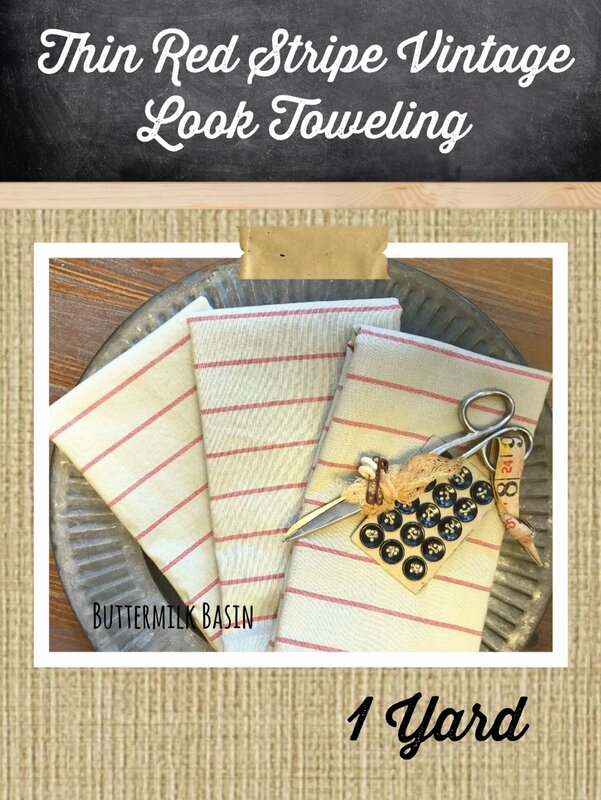 It will look great with some greens in a bowl on it! 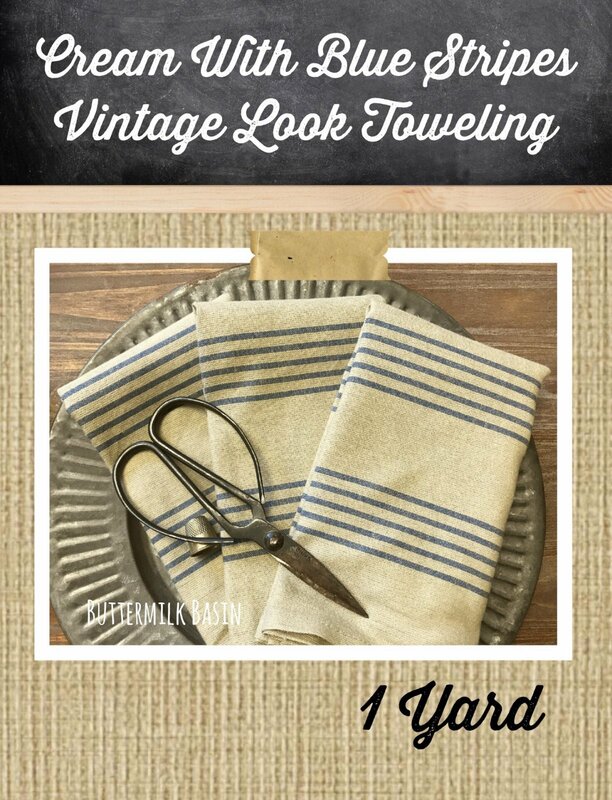 This is a 1 yard piece of toweling.